Classes are suitable for advanced beginners, also recommended for those who wish to strengthen the foundation of their practice. 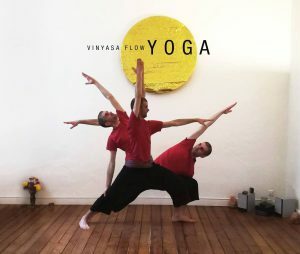 The classes focus on yogic cleansing techniques, proper breathing, body alignment and learning the basic and intermediate yoga postures, strengthening the lower back, abdominal muscles, legs and upper body. This class promotes balance, flexibility and stress reduction. Yoga means union. The word comes from the root Yuk, which means to yoke, to join or unite. In Hatha Yoga one practices asanas (physical postures) and pranayama (breath control) to find union of body, mind and breath. The body is strengthened and prepared for meditation. Ha-Tha means Sun-Moon, always maintaining equilibrium. In Yoga, you also discover that you are not separate from the Oneness. The connection between Jivatman (the individual soul) with Paramatman (Supreme Soul or Brahman) is realized. Iyengar Yoga is one of the world’s most widely-practiced forms of yoga. 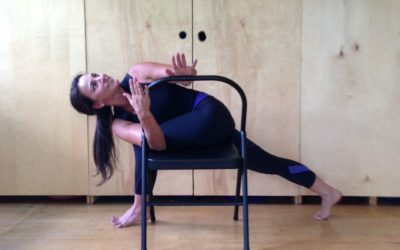 Originally devised by BKS Iyengar, it’s famous for emphasizing the correct alignment of all parts of the body within each yoga pose.This precision in approach builds strength and stamina, balance and flexibility, and a sense of well-being. The focus on alignment also causes the mind to penetrate inwards, leading to meditation in action, where the practitioner learns to exist fully and vibrantly in the present moment. We frequently use props, including blocks, blankets, belts and chairs to make yoga poses accessible for all students. Yin yoga has the same objectives as any other school of yoga. Yin yoga perfectly supplements the dynamic and vigorous (yang) styles, which emphasize inner heat as well as the stretching and contraction of the muscles. Yin yoga generally targets the connective tissues of the hips, pelvis and lower spine. Yin is the female, dark, passive, receptive, reflective, reserved, cool and introspective aspect of life. Prana/Chi/Energy flows through the connective tissues in the body. This type of yoga was developed to penetrate deeply into the connective tissues – thus enhancing flexibility and stimulating the body’s energy centres (nadis) – and to clear blockages and increase the flow of energy (i.e. the connective tissues are the meridians/channels). Yin yoga can help you to receive, a deep cleansing in the body and the mind. The primary difference between Yin yoga and other forms of yoga is that the muscles are not used: the aim is to remain in a passive pose for a long time, even as long as 3-5 minutes. Yoga, the ancient practice of body and mind, is adapted to maximize its benefits for the period of pregnancy. As yoga in general, prenatal yoga helps to find balance, physical and mental health while observing yourself, turning inwards. During pregnancy, naturally you turn your attention to the growing embryo, to the baby. By observing the sensations of the body while strengthening and stretching, you tune in to yourself and to the baby. During prenatal yoga, besides doing yoga asanas (postures) and other exercises, you also learn breathing, relaxation and other mental techniques which can greatly help you during the pregnancy and delivery. Prenatal yoga, besides keeping you fit and healthy throughout your pregnancy, helps to prepare your body and mind for the birth, so it becomes a wonderful experience. Prenatal yoga can be practiced during the entire pregnancy, except for weeks 9 to 12 when only breathing and relaxation exercises are permitted. In the prenatal classes The main laguage is Hungarian, but some of our Prenatal Yoga teachers speak English, so they can pass all info you need to lead a safe practice. Traditionally, yoga was taught one-on-one. Private yoga lessons are an excellent way to achieve the full benefits of yoga, as they are fully customized. They are held off-site at people’s homes or offices, in which you receive direct and personalized guidance in your Yoga practice. Each hatha yoga class is specifically designed for you, programs can be built around physical postures (asanas), breathing exercises (pranayama), meditation and mantras, based on your individual needs. Learning and practicing asanas and pranayama, taking into consideration your fitness level, your stress level, your personal health and goals is the most effective way to learn yoga. Private yoga classes can be one-on-one or in small groups (for instance couples, family, friends). They usually last 1.5 hours. Scroll down for class schedule! No registration needed! Drop-ins welcome. REGISTRATION NEEDED during Easter Holidays. Click on title of the class! Az óra az Ünnepek miatt elmarad. !NEW CLASS! Starts 16th April. You can have a 10% discount for your new pass if you buy it at the last occasion of your active pass. You can have a 10% discount for our Passes (5-10-20) if you are a student or a pensioner. Please provide a proof of your status. Discounts are not to be merged! We accept cash at our reception. You can find a cash machine very near at OTP Bank. We accept All You Can Move card. AUM Jóga Astoria – 1075 Budapest, Károly krt 3/A. AUM Jóga Blaha – 1085 Budapest, Stáhly u. 13. AUM Jóga Astoria: You can park your car on the street, or you can always find place for your car in the parking court in Rumbach Sebestyén street, or in Dohány street, which are shown on this map below. Note that both are paid parking.